When it comes to planning your event, it is crucial to consider the venue and all it offers. An event space or banqueting hall plays a pivotal role in shaping the entire occasion, and has a knock-on effect on the overall style, feel and appearance of your event. Whether you’re amid wedding planning, looking to break the ice at a business event or planning a milestone birthday celebration, the venue you choose is critical. When it comes to choosing a banqueting suite to compliment your event, there are a host of elements to consider. From capacity to costings, party size and location, our top tips will help you book a banqueting suite which is sure to wow your guests. Originating from the 16th century and evolving over time, banqueting is a unified form of dining and serves up a sense of togetherness and enjoyment for your guests. Communal feasts offer an ideal opportunity for family, friends, close friends and colleagues to come together in culinary harmony and socialise at a party or celebration. When selecting a banqueting suite, it is important to consider the capacity which the space can hold. The number of guests you’re able to invite will undoubtedly impact significantly on your event and its overall atmosphere. It is important to choose a well-balanced event space; too small and your guests could feel claustrophobic and, if it’s too spacious, your event could look sparse. Finalising a guest list for a wedding reception or birthday celebration can be tricky at times. Ensure you select a banqueting hall with ample capacity to avoid any unwanted issues with guests. When planning an event or party, you want every guest to make an appearance, and the last thing you want to impact this is location choice. Whilst an event space located in a remote area on the outskirts of town may be appealing, a centrally-located venue will be far more convenient for your guests to get to. Considering how your guests will attend your event and if there are hotels nearby for them to enjoy a convenient overnight stay is also hugely important. A centrally-located venue, such as a London-based space, will offer better links for local transport, as well as being more convenient to book taxis and arrange minibuses. Venue location – consider whether the venue is in a central location for your guests, and if it’s in a remote area, whether it will be easily accessible by car and forms of public transport. Amenities – do the amenities offer value for money and fairly reflect the price? Additional charges – enquire whether the venue will looking to charge additional fees to supply items such as audio visual equipment or WiFi for use at your event. Comfort – you want your event and choice of venue to be remembered for being comfortable and accommodating for your guests. Essentials such as heating, lighting and car parking all play an important part when choosing a banqueting hall and should be reflected in the overall cost. When choosing a banqueting event venue, the opportunities really are endless. You have a blank canvas to create the look, style and transform a space to suit your personal preferences, budget and choices. From decadent luxury to laid back and relaxed, a banqueting party can be as small-scale or grand as you prefer. Create the perfect ambience for your celebration with carefully selected lighting alongside thoughtful details to give your event an intimate feel. From glassware to table decorations, place cards to floral arrangements, your guests will enjoy a communal feast in a sublime space brimming with creativity and imagination. Team your unique event space with a vast choice of mouth-watering cuisine, and transport your guests to foodie heaven with a jaw dropping banqueted event they’ll remember in years to come. The Grubstreet Author is a perfect venue to host your banqueted event. Boasting three striking event spaces, our unique London venue offers sleek contemporary design alongside a setting oozing heritage. 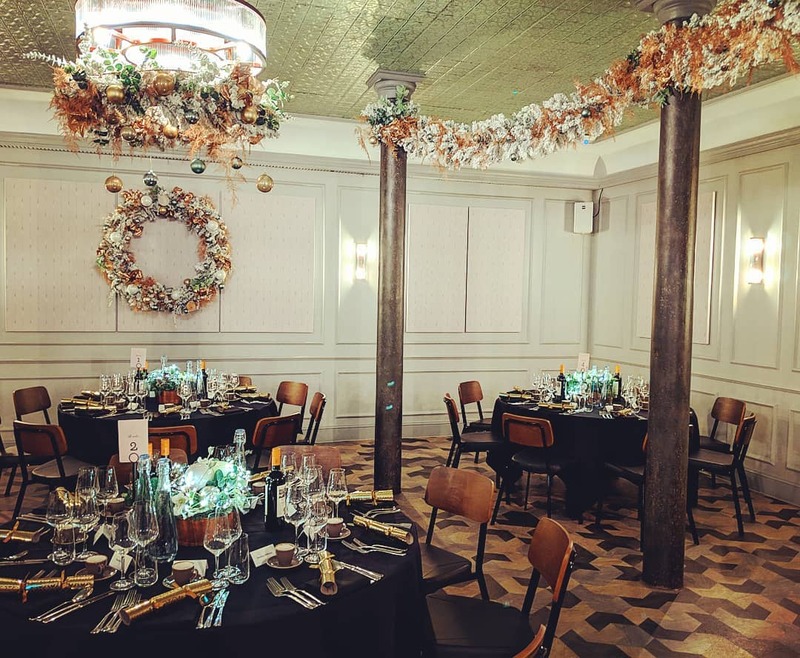 Our venues are as unique as you, and with exclusive private dining and banqueting and award-winning contemporary cuisine, The Grubstreet Author is an impactful venue perfect for any occasion. Get in touch today to find out more and start planning your special event today.